We're thrilled to announce our collaboration with the Royal College of Art (RCA) in London, Bench-top Factory. The RCA’s Exploring Emergent Futures platform is hosting Bench-top Factory, which is an investigation into how our world might change if people could manufacture their own products from their desktop. 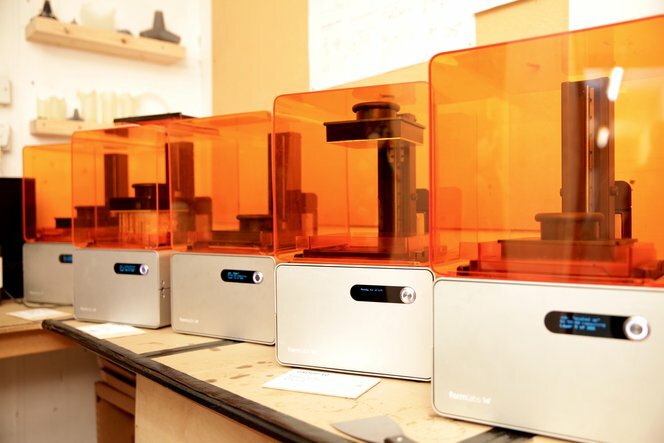 For this project, industrial design students at the RCA will be using the Form 1+ 3D printer as part of a micro-factory, exploring scenarios with desktop 3D printing as part of a small-scale manufacturing system. Invited speakers include Formlabs' designer Yoav Reches, as well as Al Dean, editor in chief and co-founder at DEVELOP3D Magazine and Joni Steiner co-founder of Opendesk. Works from this project will be displayed during Design Products Open Day at the RCA on Thursday 20th November.